New Figures! Toy Shop Open Soon! (LtoR)"Crockett" "Esclavo de Amor Watermelon" "Esclavo de Amor Blue Glaze" Esclavo de Amor Yellow"
Almost a month ago, I was still working as a 911 dispatcher. I sit here looking at my finished designer toy figures from today, and a mess of figures in various stages of being completed…. And I have absolutely no regrets. Not one. I don’t miss the job. I went in every day with the goal of being the very best dispatcher I could be. But the profession is not for me. It takes a very skilled, very special kind of person to do the job. I have nothing but respect for my coworkers and others who do it. I just couldn’t anymore. I dreamed of being an artist for so long…..and now here I am. 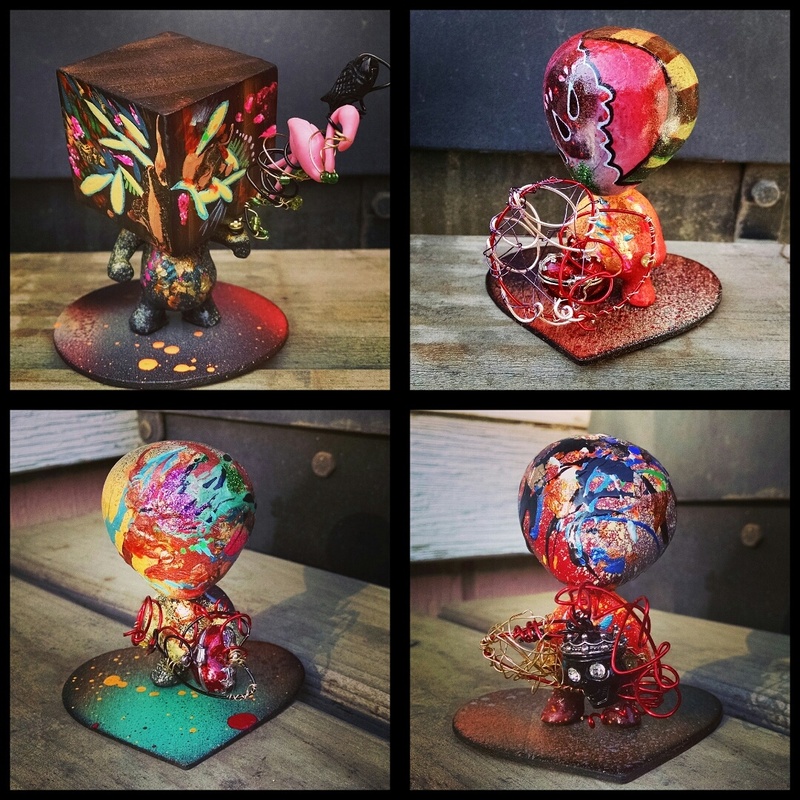 On August 1st, my custom, one of a kind hand painted resin toys will be available for purchase. In November I will be at Designer Con. Things are going well and I can feel how it is only going to get better from here. Thank you everyone who has supported me and encouraged me in my art to this point. Especially those of you that believed in me when I finally walked out that door and cheered me on. Big things are coming.